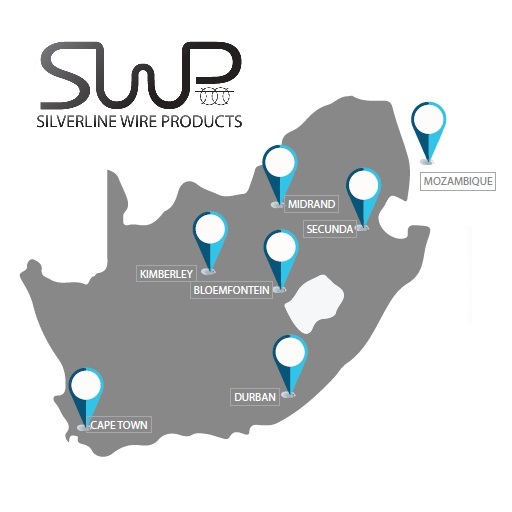 Silverline Wire Products (Pty) Ltd. was established in 2015 and specialises in the supply of all fencing products regarding the steel and wire industry. Since its inception, SWP has experienced tremendous growth and is building a reputation for supplying premium products at very competitive prices throughout the country. Silverline Wire Products specialises primarily in the supply of all fencing related materials. We also specialise in custom built fencing, gates and specialised orders. Apart from manufactured products, we stock and supply high quality wire products, posts, stays, Y- standards and droppers. Our complete range of products provides our customers with all their fencing requirements. With over 30 years of experience among the stakeholders/directors, our clients are sure to receive the best possible knowledge in the industry, our clients are sure to receive the best possible advise on choosing the right set of products to suit their needs. The core business strategy is to focus on our following strengths: Commitment to quality in all facets of the company Delivering timeously and within budget Aim to exceed client expectations to all our clients large or small. We intend to be one of the leading wire and fencing material distributors in South Africa as well as our neighboring countries. We intend to evolve and grow into a company which partakes in the development of our country’s economic growth and accumulate market share. We constantly strive to better our service and building customer relations. We strive to give our clients the best product and service at all times, as well as the best possible price. With branches in key central cities across South Africa, we are sure to meet our client’s needs and expectations.